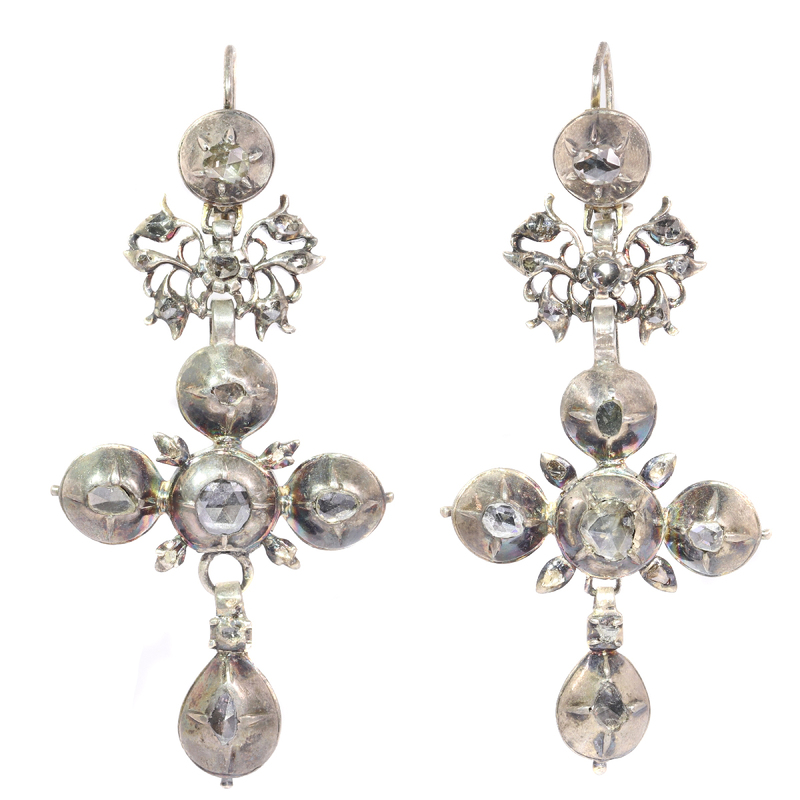 Rare Flemish cross earrings gold backed silver pendants with rose cut diamonds: Description by Adin Antique Jewelry. 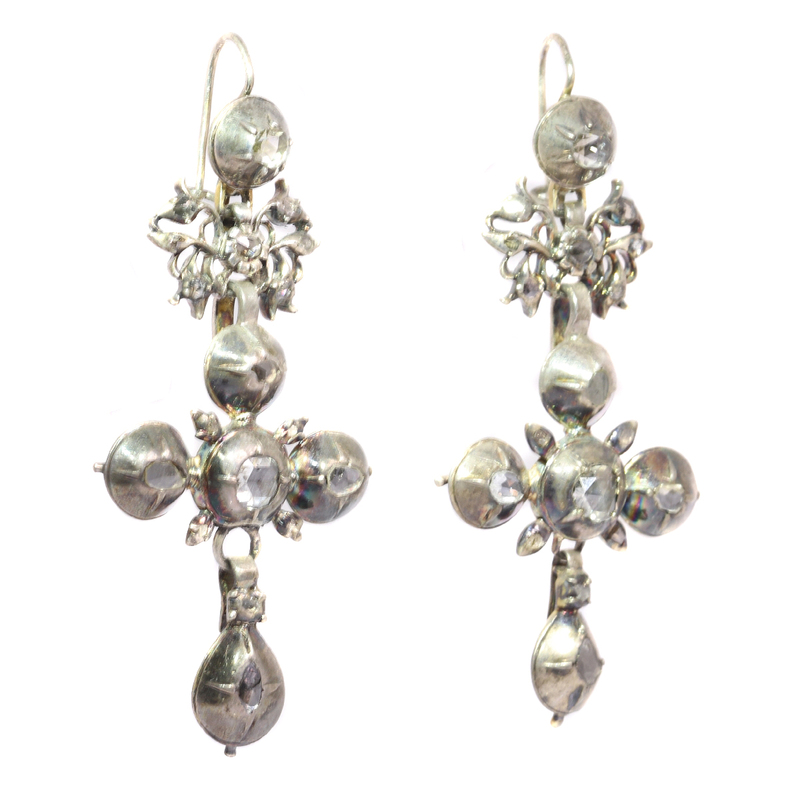 The purity of these Flemish cross earrings from 1800 emanate from the white silver with a gold back and from the 34 rose cut diamonds lustring from their foil settings. 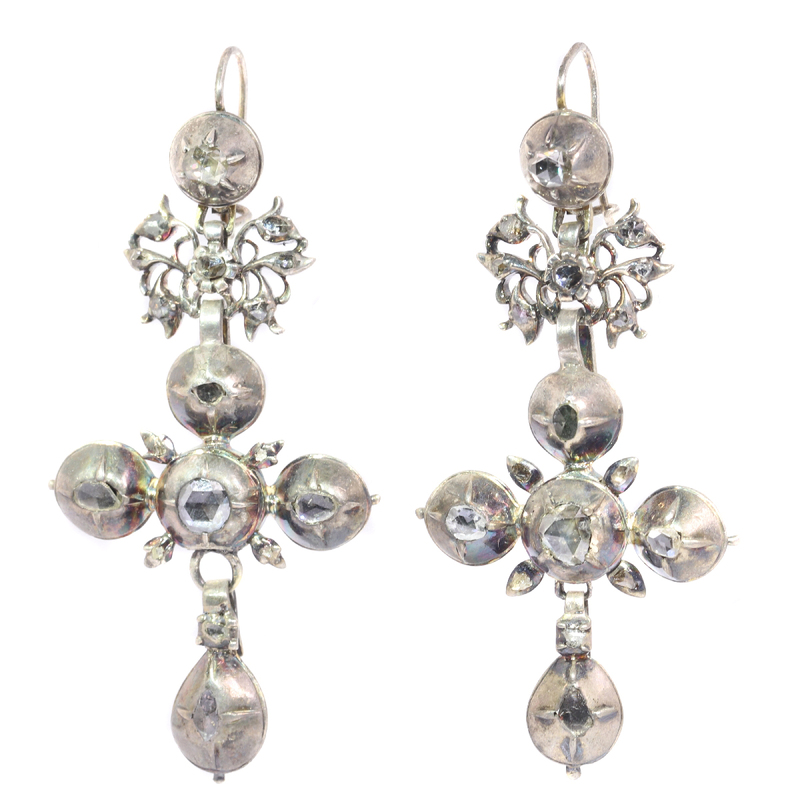 Its sacred aura is even more heightened with a silver flower arrangement suspending from another domed diamond. With four petals sprouting between the intersections of the cross, this pendant could help anyone grow their devotional roots like roses in their soil. Diamonds: 34 rose cut diamonds and senailles . A senaille is a simplified rose cut diamond, a small diamond chip with perhaps a few polished facets. We do not have the weight of the rose cuts diamonds nor the senailles which is normal in our trade when it comes to rose cut diamonds and senailles.